Infections that affect the upper respiratory tract have a serious impact on public health. They are the most common reasons why our patients visit our primary care providers. 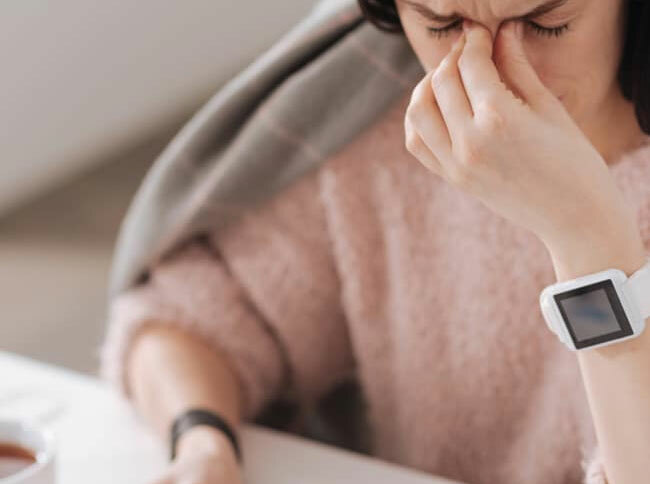 Although most conditions that affect the ears, nose, and throat produce symptoms that are relatively mild, since there are so common, they are among the leading causes for lost time at work or missing days of school. Do I Need to Visit a Doctor For My Sore Throat? f at home, but others require you or your child to visit the doctor. Sore throats can be caused by viruses, allergies, bacteria, or nasal drainage. A sore throat is a symptom of an underlying cause. If your sore throat is accompanied by headaches, stomachaches, a rash, or a fever, this may mean that you have strep throat and will require antibiotics. A sore throat accompanied by a runny nose, hoarseness and cough is a symptom of a viral infection. While you will not need antibiotics for a viral infection, your doctor can recommend over-the-counter medication and throat lozenges for the pain. Conditions affecting your ears, nose and throat can diminish your quality of life and your productivity at work. They can also quickly migrate into something serious. Our doctors help by providing you with the testing and examinations needed to identify the cause of your sickness. From there, we will work with you to create a treatment plan that may include antibiotics and over-the-counter and prescription medications with the goal of speeding up your recovery time. Unfortunately, upper respiratory sickness is a natural part of life. Our primary care physicians are committed to working hand-in-hand with you, giving you the compassionate yet expert care that you need to get better and to get back to living a healthy life. Contact us today!